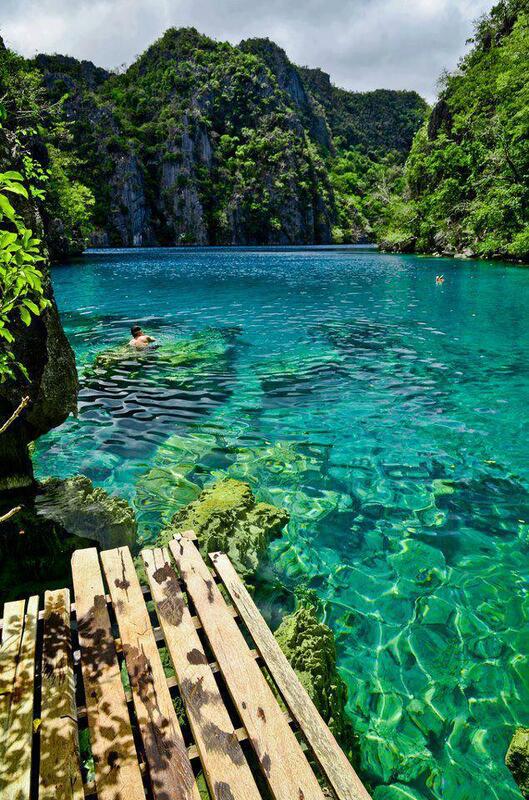 Coron Island is the third-largest island in the Calamian Islands in northern Palawan in the Philippines. The island is part of the larger municipality of the same name. It is about 170 nautical miles (310 km) southwest of Manila and is known for several Japanese shipwrecks of World War II vintage. The island is part of the ancestral domain of the indigenous Tagbanwa people. Known as Calis among the Tagbanwas and Coronians, its tribal chieftain is Rodolfo Aguilar I. The area around the wrecks has rock formations which provide for snorkeling opportunities, with underwater visibility extending up to 80 feet (24 m). The water is often calm. Coron is one of the most visited destinations for wreck diving in the Philippines. Wreck dive sites are found in depths as shallow as 10–30 feet and as deep as 120–140 feet (37–43 m). Most are in the range of about 60–80 feet.